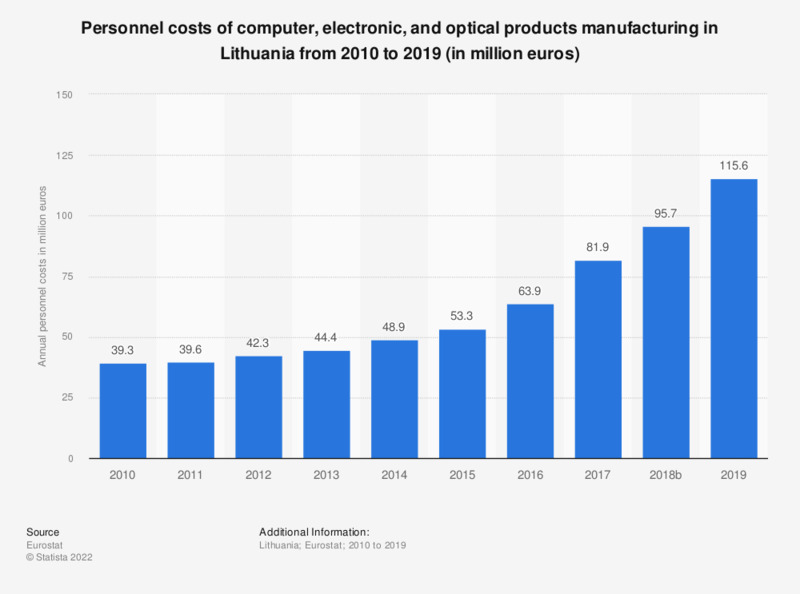 This statistic shows the annual personnel costs in the manufacture of computer, electronic and optical products sector in Lithuania from 2008 to 2016. In 2016, the computer, electronic and optical products manufacturing sector produced personnel costs of approximately 63.9 million euros. Statistics on "Economic Outlook Lithuania"